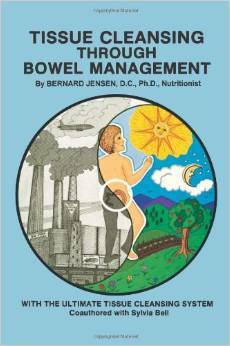 By Dr. BERNARD JENSEN / Free PDF. 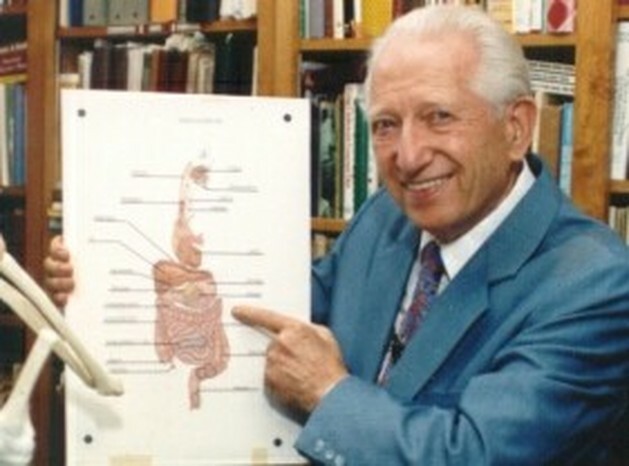 Beginning his career as a chiropractor in 1929, Dr. Bernard Jensen soon turned to the art of nutrition in search of remedies for his own health problems. He traveled to over 50 countries, to study the lifestyles of the different cultures in an effort to understand the principles of long and healthy living. He visited Russia where he studied the long-lived people. The last man he met in Russia was 152 years of age. Dr. Jensen journeyed to New Zealand several times, stayed at Sri Aurobindo’s Ashram in India and visited Sai Baba, one of the masters of India. He met with the Dalai Lama and recently stayed with the King of Hunza Valley. Many of the spas and nature cure sanitariums in Europe were visited. Many constructive ideas were brought back to develop the Hidden Valley Health Ranch in 1955. It was a place for his patients and guests to come and learn how to live a healthy life. Hidden Valley Health Ranch served as a retreat for people from all over the world. The Kneipp water baths from Worishofen, Germany were established; the organic garden provided 60% of the meals served; lectures and demonstrations were given and the summer classes became a main attraction. 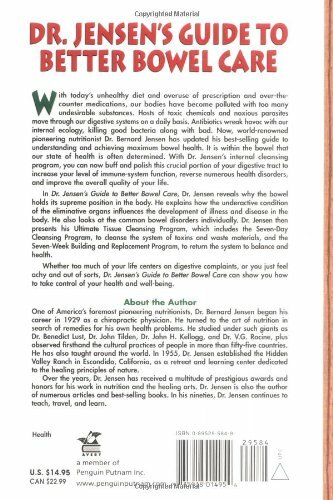 Doctor Jensen concluded that the long-lived people live a simple life, in a moderate temperature, eat unprocessed foods, no fried foods, little meat, live a serene, contented life, maintain good posture and consistently live close to where the soil is black. 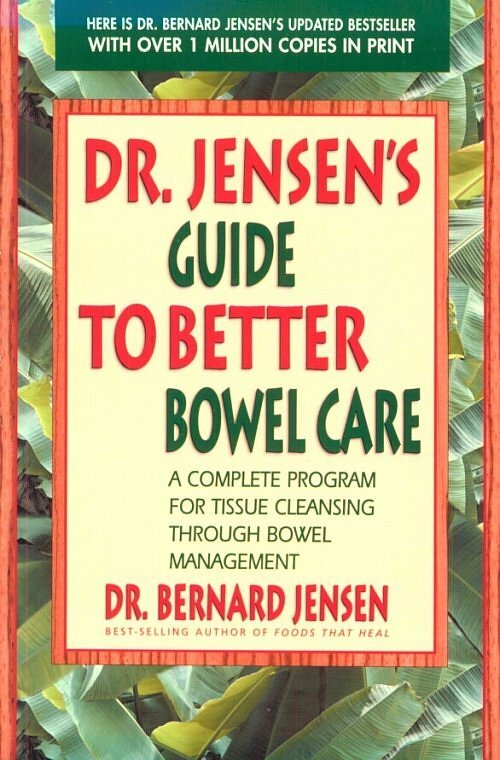 Doctor Jensen believes humanity needs a formula for living successfully, healthfully and peacefully. He combines the elements of the physical, mental and spiritual in teaching people how to live..
We are presently being exposed to thousands of toxic compounds in the form of inorganic chemicals and toxic metals. As mentioned in previous columns, these substances are everywhere: The air we breathe, the foods we eat, the water we drink and bathe in, as well as drugs, vaccines, cleaning products, paints, solvents, glues, herbicides, pesticides and fertilizers. Due to this constant exposure, our bodies are now storing hundreds of these toxic metals and chemicals. Studies indicate that we have between 400 and 800 toxic metal and chemical residues stored in our bodies. 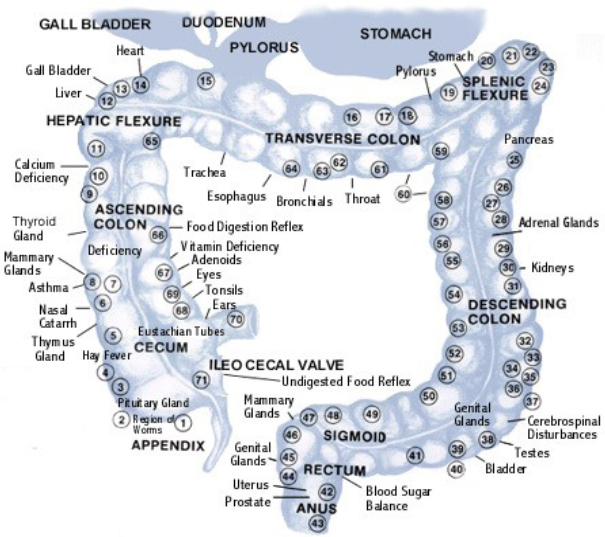 They accumulate in our fat cells, in our major organs such as the liver, kidneys and brain; in our glands such as the thyroid and adrenals; and throughout our central nervous system. There are 34,000 pesticides and herbicides registered with the Environmental Protection Agency (EPA), as well as 65,000 other chemicals. Over one-fourth of the 4 billion pounds of pesticides used in the world annually are used in the United States. Each year, 10,000 chemicals are being synthesized by industry and added to the over 1 million already in existence. Environmental toxins are chemical toxins that come into our bodies via air, water, food or direct contact with the skin. Virtually all of us are now in a state of toxic overload from environmental toxins. Small toxic exposures each day (from common sources such as breakfast cereal, toothpaste, shampoo, soap, perfume, deodorant, hair dye, newspapers, magazines, exhaust fumes, carpets, new mattresses, dry cleaning or a newly-painted bedroom) will increasingly exceed and even incapacitate our body’s ability to detoxify. This causes these chemicals to accumulate to levels that will make us sick. Most people make little effort to avoid toxins because officially-established tolerances presume that toxin levels are within safe limits. Unless we make deliberate choices to avoid or minimize toxic exposures, we are constantly eating foods with trace toxins, drinking water with trace toxins, using personal products with trace toxins and breathing toxic air. By the end of each day, these toxic contaminants often reach a substantial cumulative total. EPA scientists found that the total toxic residues in our daily diet can exceed 500 percent of the recommended daily maximum—even if each individual exposure is within "safe" limits! Most pesticides, herbicides and fungicides accumulate in fatty tissues and tend to settle in the bones. Fluoride builds up in the brain, thyroid and bones. Once in these storage sites, they can remain for decades or even a lifetime. Several studies have shown that the average person—no matter where that person lives (even in the Arctic regions)—has 40 to 75 organic chemical residues located in fat tissue—including the breast tissue in women. The accumulation of these toxic chemicals and metals results in our body not being able to assimilate and utilize essential minerals such as iron, calcium and magnesium. This causes enzyme dysfunction, nutritional deficiencies, hormonal imbalances, neurological disorders, damage to brain chemistry, and can even lead to auto-immune disorders, cancer, and other debilitating chronic conditions. In order to lessen the body’s burden of toxins, we can consciously attempt to minimize exposures by choices we make in eating, drinking and by avoiding chemical exposures wherever possible. We can also do a few simple, inexpensive things to help remove toxins from our tissues. Purchasing pH strips or sticks for measuring the body’s acid/alkaline balance is one of the most effective tools in determining our overall state of health as well as our body’s ability to flush out the chemicals and metals innundating us daily. The body’s oxygen saturation level is determined by its overall pH. The body must be slightly alkaline for its cells to be properly oxygenated. The pH scale goes from zero to 14 with zero being purely acid, 14 being purely alkaline and 7 being "neutral" pH. Without exception, people who have cancer, auto-immune diseases, or heavy metal and chemical poisoning also have an overall body pH below 7.0, which means that their cells are not being properly oxygenated, leading to an accumulation of toxins. The ideal body pH is 7.4 but people who are actively using naturopathic principles in detoxifying try to keep their pH a bit more alkaline for a period of time since cancer cells cannot survive in a body with a pH of 8.0. Bentonite comes in a variety of "flavors." You can buy an industrial bentonite at the feed store for about $6 for a 50-pound bag. This is usually sodium montmorillonite. This is a low-quality bentonite used for ponds, sealing wells, making paper, cat litter and so on. Sodium bentonite clay swells, sometimes up to 18 times its dry size when it becomes wet. I keep a bag of this on hand for emergencies. What do I mean by emergencies? This material is used to patch dams. If you cut your leg with a chainsaw, powdered bentonite will help stop the bleeding. The best clay for detoxification is calcium montmorillonite. It is also known as "living clay," for it principally consists of minerals that enhance the production of enzymes in all living organisms. It swells zero to little, is a source of highly-absorbable minerals and absorbs radiation. Smart farmers feed it to their livestock. It treats several veterinary diseases, animals gain more weight on less feed and production skyrockets. So how much magnesium is needed for optimal health and to balance the calcium, phosphorus and potassium intakes? Dr. Emmanuel Cheraskin found through clinical experience nearly 30 years ago that 400 mg. daily for a 150-pound adult is ideal. 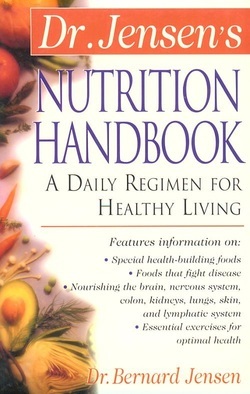 However, today we are experiencing more problems associated with magnesium deficiency so it is best to evaluate your lifestyle to determine whether you are depleting magnesium from your body by drinking coffee, alcohol, soda pop, refined carbohydrates, excessive sodium and/or high levels of calcium intake (which blocks magesium absorption). We have found that when the body receives the proper balance of bio-available minerals, these same minerals not only protect the body from heavy metals, aluminum and chemical exposure, but also have the ability to displace and remove from the body these same toxins the body has been storing. This is likely the reason that "living clay" taken both internally and externally is so successful in rapidly removing these toxins from the body. There are numerous plants God has given us that aid in detoxification while feeding various organ systems. It is important to remember that the liver is the main organ of detoxification and needs to be supported when undergoing any regimen to remove heavy metals and chemicals from the body (see "Your Liver – The body’s chemical factory and detoxifier," The IO, Back to Basics, March, 2007). Algin derived from seaweeds such as kelp, dulse and algaes such as chlorella provide protection from many of today’s pollutants. Canadian researchers have found that algin can prevent living tissue from absorbing radioactive materials, including strontium-90, barium, mercury, aluminum, tin, cadmium, zinc and manganese. Strontium-90 is so dangerous because it has an affinity for calcium and will accumulate in food substances that are high in calcium such as milk and green leafy vegetables. Such contaminated calcium carries strontium-90 directly to the bones where it damages bone marrow. Kelp has been shown to block strontium-90 from being absorbed by the body. Kelp particles (sodium alginates) strip the metal ions from the calcium molecule forming insoluable salts that are then eliminated from the body (Source: The Scientific Validation of Herbal Medicine, by Daniel B. Mowrey, 1986, p. 88). Dr. John R. Christopher’s "heavy mineral formula" has helped thousands recover from stored pharmaceutical drugs and environmental pollutants. It contains bugleweed, yellow dock and lobelia. In a recent version of this formula, cilantro has been added. The School of Natural Healing’s protocol is to take this formula with chaparral, an extremely potent blood purifier. In addition, it is recommended that you bathe every other day adding 1 to 3 pounds of Epsom salts in a bath of of hot water. 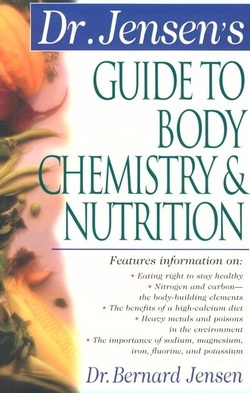 This bathing routine is recommended for three weeks, then resting a week before resuming the bathing routine, while continuing to take the "heavy mineral formula" with the chaparral the entire time (see "Chaparral: Nature’s Detergent for the Body," The IO, Back to Basics, August, 2000). Cilantro—also known as coriander or Chinese parsley—has been proven to chelate toxic metals from our bodies in a relatively short period of time. Combined with the benefits of the other ingredients, the following recipe for Cilantro Chelation Pesto is a powerful tissue cleanser. It is easy to make, and also really tasty. It’s delicious on toast, baked potatoes, and pasta. Two teaspoons of this cilantro pesto daily for three weeks is purportedly enough to increase the urinary excretion of mercury, lead, and aluminum, thus effectively removing these toxic metals from our bodies. Consider doing this cleanse for three weeks at least once a year. Process the cilantro and flaxseed oil in a blender until the cilantro is chopped. Add the garlic, nuts, and seeds, dulse and lemon juice and mix until the mixture is finely blended into a paste. Add a squirt of Bragg’s Liquid Aminos to taste and blend again. Store in dark glass jars if possible. It freezes well, so purchase cilantro in season and fill enough jars to last through the year. According to our holistic dentist, Italian parsley has the same effect as cilantro in removing mercury from the body. After reviewing the evidence proving that poisoning from aluminum, heavy-metals, and hundreds of chemicals is rampant, it is clear that, for self-preservation, we must incorporate a lifestyle change that involves regular cleansing rituals and a living foods diet. We have shown that environmental pollutants are a major cause of hormonal imbalances, cancer, thyroid problems, neurological disturbances, learning disabilities, memory loss, depression, food allergies, and parasites. 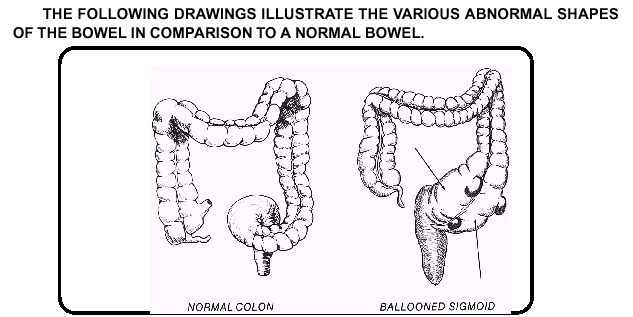 The value of colon and kidney cleansing, and liver flushes hasn’t been discussed enough. If we are going to do more than survive the coming changes, becoming a conscious consumer and gardener now will initiate the reverse of the poisoning and start the healing our troubled planet.